Are you inspired to take action and help keep you planet clean? 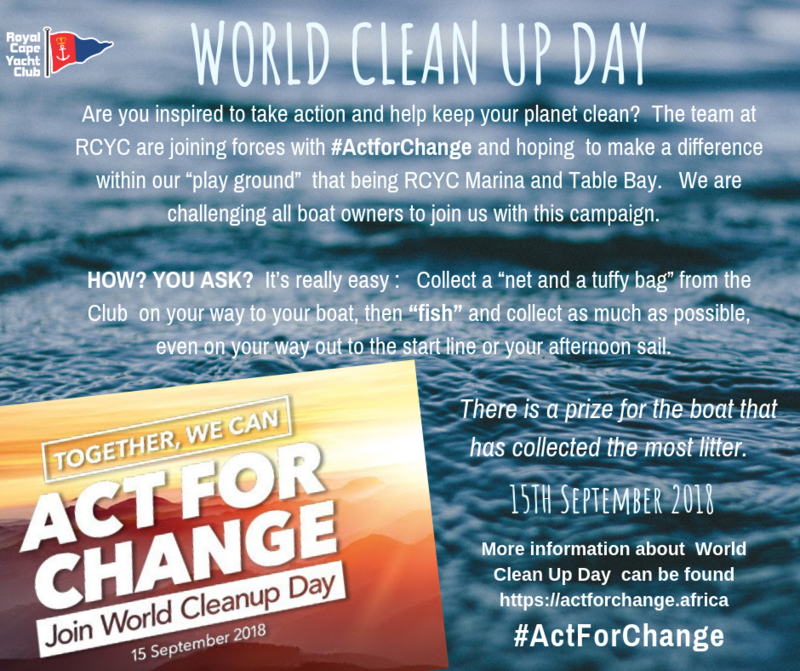 The team at RCYC are joining forces with #ActforChange and hoping to make a difference within our “play ground” that being RCYC Marina and Table Bay. We are challenging all boat owners, members and their families to join us with this campaign. How you ask? It’s really easy : Collect a “net and a Tuffy Bag” from the club on your way to your boat, then “fish” and collect as much as possible, even on your way out to the start line or your afternoon sail. There is a prize for the boat that has collected the most litter.